and deletes the photos from the card (if you ask it to). 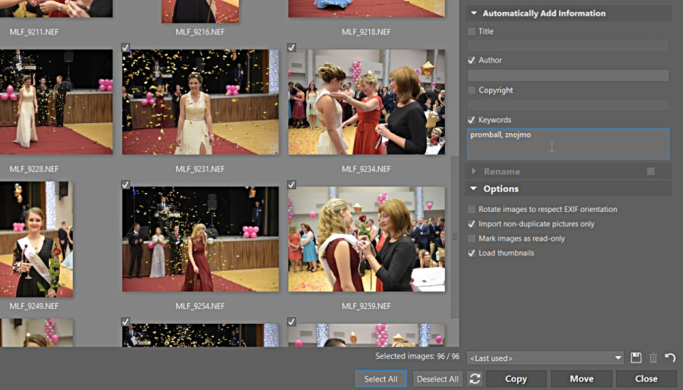 To download photos onto your computer, first connect your camera or memory card. Then in Zoner Photo Studio click the Import button at the bottom left, or instead click Menu, then Acquire, and then Import. 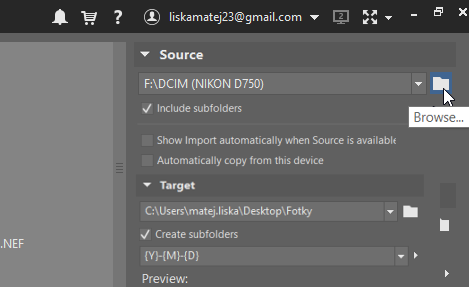 Click the folder icon at the top right to change the source folder if desired. 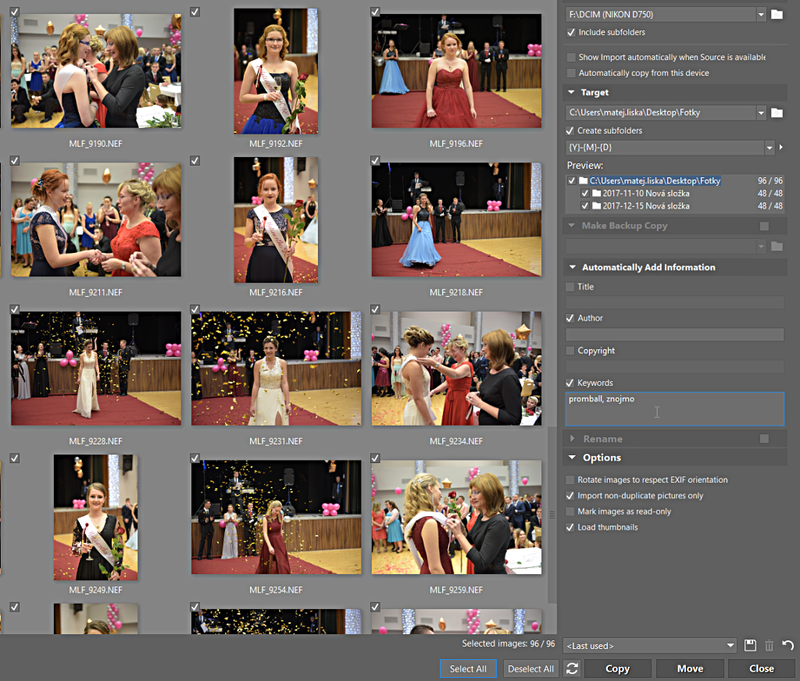 We recommend turning on the Include subfolders option, because cameras often place photos in multiple folders on the card. For example when the counter goes back to zero or when there are more than 999 photos in a folder. The Include subfolders option guarantees that all your photos get loaded even in this case. Setting the source folder from which to import the photos. Once a source is selected, the program should load the photos automatically. If it doesn’t, make sure that the camera or card is connected correctly. Add keywords and other information if you wish. Then in the right-hand panel, configure the details for the import process. For example, pick a more suitable target folder or e.g. keywords. That will make it easier to find the pictures later on. To filter for certain file types only, use the buttons under the listing of thumbnails (small picture-previews). You can remove the loaded photos from the selection one by one using the icons at the top left corner of each thumbnail. And if for example you want to download photos only (and not videos), or JPG files only, use the Filter listing buttons. You’ll find these under the thumbnail listing. 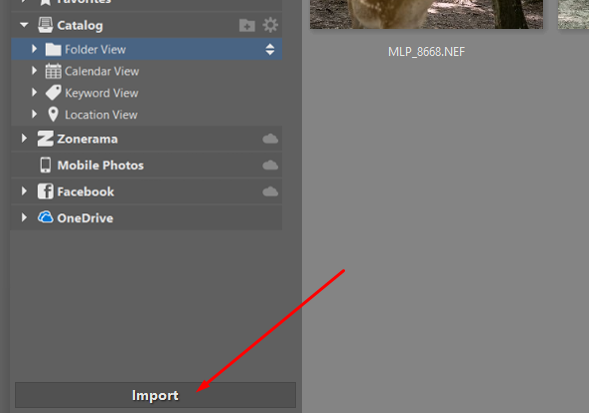 Click the Copy button to start the import. An icon at the top right indicates when an import job is in progress. 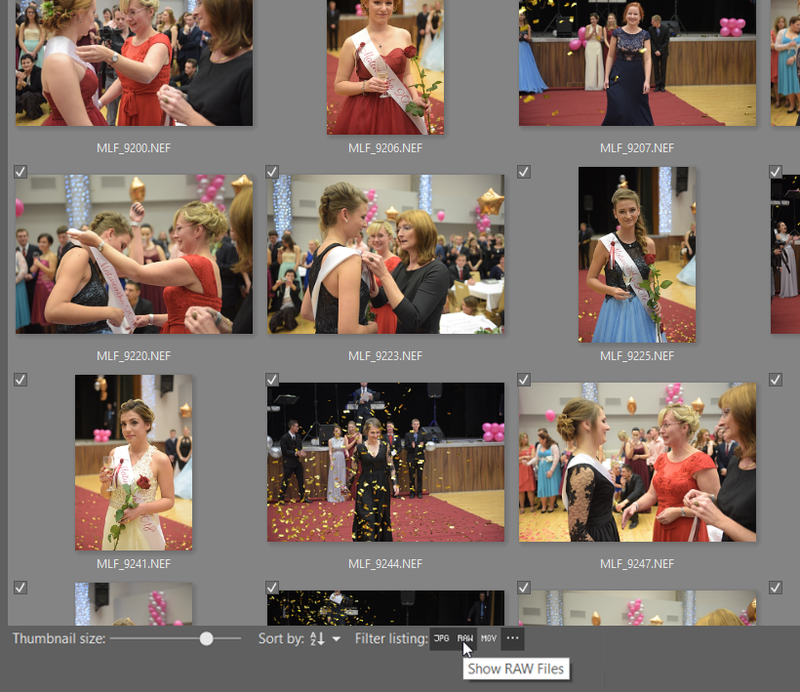 Once you’ve made ZPS start copying the photos, you can for example head off and make coffee. In the meantime the program will copy the photos from your camera onto your computer. An icon at the top right indicates when an import job is in progress. Make sure not to interrupt the connection between the computer and the memory card or camera during the download. And don’t forget that the speed of the copying job will depend on your computer’s power, the number of photos, and how large they are. 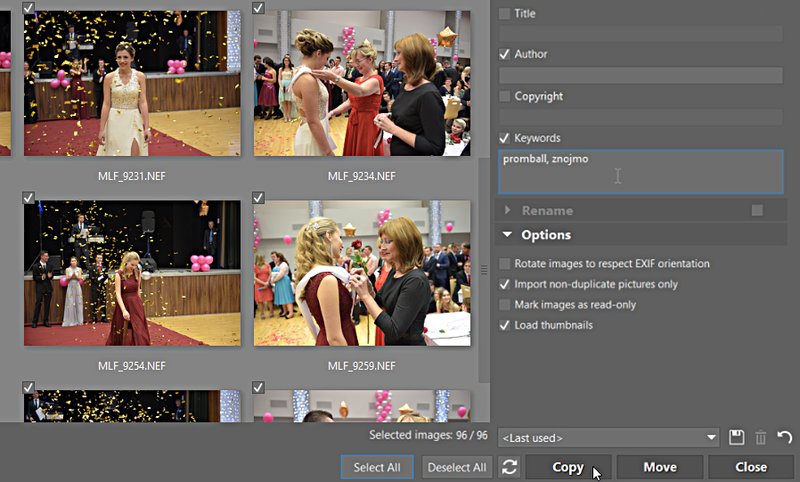 A tip from experience: Double-check that you really did copy in all of the photos—check that both the first and last picture are there in your target folder and that the number of files is right. If for example you copy pictures overnight, you may find in the morning that the computer fell asleep or the power went out in mid-job. You can see that downloading photos onto your computer is a matter of just a few clicks. Ultimately you can try it out yourself—download Zoner Photo Studio X, try it 30 days for free, and organize and edit your photos more easily.